It’s not all about still photo’s when we travel. Oh, no. Go Pro, HDR Video camera, iPhones and DSLR camera are all used to capture some of the action on our holidays. 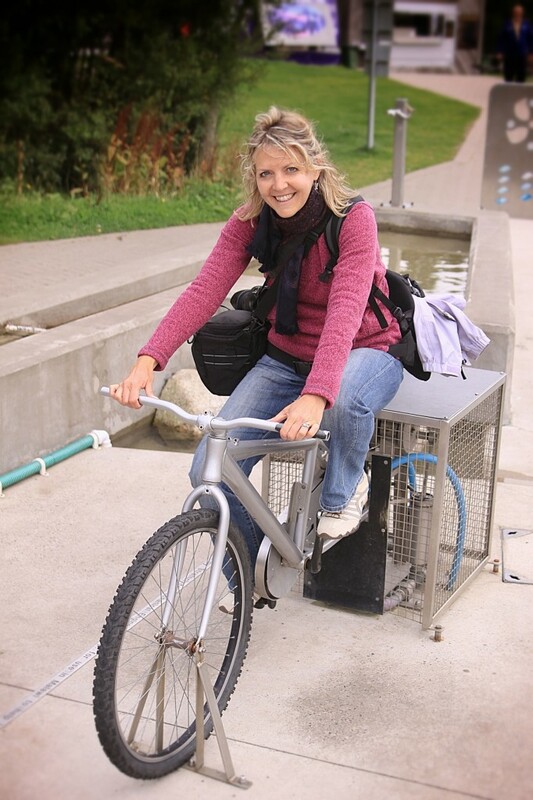 We have lots of fun editing and creating short movies after our trips and this “trailer” has been put together from some of the footage we took during our trip to Europe in September 2013. Move over Angelina and Brad. Roey and The Princess are ready to walk the red carpet. We are on the Isle of Man and today our proud Manx friend and tour guide, Ally, has bought us to see the “world’s largest operating water wheel” – The Laxey Wheel. Thankfully I mounted my wide-angle lens onto my Canon because trying to capture the sheer size of the wheel when you are up close is almost impossible. The Laxey Wheel, located on the north-eastern side of the small Irish Sea island, was built in 1854. The wheel’s job was to pump water out of the “Great Laxey Mines” complex in the nearby hills – a lot of water. Indeed this massive wheel is capable of extracting over 1000 litres per minute from mine shafts the extend to 1500’ below the earth’s surface. The water that feeds the wheel runs along a beautifully designed viaduct. Towering above the landscape the white washed stone arches of the viaduct provide avid photographers with some wonderful “perspective” shots. Visitors to the Laxey Wheel complex can visit one of the old mine shafts that leads into the Glen Mooar part of the Laxey Mines. A short track leads from the wheel up to the shaft’s entrance and, after donning a hardhat, you can walk 100’ into the mine. Be warned though. Even if you are not claustrophobic, the short trip into the mine will get your attention. Immediately on entering the shaft the temperature begins to drop and the water logged walls and low roof drip all around you. The narrow gauge rail lines disappear into the darkness and the shaft seems to close in around you. The shaft is fenced off around 100’ into the mine but by this point you are in far enough to gain a sense of how brave and tough the Laxey miners were. Exiting the mine into the bright, cool day is like being born again. If, after a visit to the mineshaft, you are up for another challenge you can climb up to the top of the beautiful tower in which the Laxey Wheel is mounted. A narrow, “one-person-at-a-time”, spiral staircase allows visitors to get to the top of the tower and view the surrounding hills and the Laxey Valley. The climb also means that you get to see the very top of the 6’ wide wheel as it rotates gracefully – a very calming experience after the steep climb to the top. After all the exercise and a lot of photos we walked down the hill to the small café located near the wheel. Visitors can take in some of the café’s delightful offerings while listening to the water flowing from the wheel and into the nearby stream. We settled on the obligatory tea and scones. The Laxey Wheel is open from 10am – 4pm in winter and 9.30am to 5pm in summer. The very reasonable entry fee of £5 goes toward keeping the “Lady Isabella” (as the wheel is called) turning for the generations to follow. A cool easterly breeze blows in our faces as we take time to soak up the ambience of the scene before us. A quiet country lane cuts the lush green fields of the Irish landscape and in the mid distance the imposing ruins of an ancient medieval Franciscan friary stand proudly on a barely noticeable knoll. There is a noticeable energy despite us being a mile away. Intrigued we return to the car and negotiate the blackberry bush lined lane toward Ross Errilly’s beautifully preserved structure. A feeling of calm surrounds us as we move from the car park toward the friary. We comment to each other on our feelings and agree that something special awaits us inside the entrance. The friary is thought to have been constructed in the mid 1400’s and, despite the English Reformation and Cromwell’s Irish campaign, it was occupied for almost 400 years. Some would say the recent burials inside the friary’s grounds means that it continues to be occupied. Inside the friary one is caused to negotiate narrow passageways and tiny crawl spaces – a true adventure. Beautiful window arches and intact pillars allow the mind to re-create how this stunning structure would have looked. The 600 year-old building has withstood climate extremes and no doubt it will continue to endure the next 600 years of wind, rain and temperature. They built them to last back in the 1400’s. Each area of the friary was built with a purpose in mind – accommodation, food preparation and storage and religious duties were all taken into account. Moving from one section to another the spirits of previous inhabitants seem to welcome you and guide you through their domain. Architectural angles, natural light, moss covered rock and beautiful design offer up their beauty to our lenses and we delight in soaking up the experience of Ross Errilly. Alas, the cool wind brings in a light shower of rain. It’s time to go. We negotiate our way out into the courtyard just as a bus load of tourists arrives. Perfect timing. To “feel” Ross Errilly make sure you visit when the crowds have left. Let your senses be taken on a journey and don’t be in a hurry to leave. This beautiful friary is located about a mile north of Headford, County Galway in Ireland. Entry to the national monument is free . A cool Scottish breeze causes the dry spring grass to wave to and fro on the knoll that we have climbed. We look north toward the historic city of Stirling, gazing out over rich farming land and the Forth and Clyde canal below us. Our “perch”, right alongside the Union canal, is some 115 feet above the Forth and Clyde canal and we feel like a couple of engineers surveying the scene laid out before us and asking the questions: “How do you get a canal boat from the Union canal down the 115′ to the Forth and Clyde canal – without building the equivalent of a theme park log flume ride?” ”Is it Wheelie possible?” This very question was posed back in 1994 and the “Ferris Wheel” design for the Falkirk Wheel came into the minds of engineers. The stunning steel structure was completed 2001 and “launched” by the Her Majesty The Queen in May 2002. Problem solved. Fantastic tourist attraction created. From above the Falkirk Wheel the seven arches frame the Union canal and surrounding landscape perfectly. The arches are reflected beautifully in the still water of the canal and, at different times of the day, the colour of the sky changes that colour of the water – an every changing artist’s palette. Standing at the basin below and looking up at the Wheel’s 35 metre structure you are immediately impressed by the sheer size of this 12oo tonne marvel. The wheel is not just a practical way of getting canal boats from one canal to another, it is a work of art whose regularly moving, flowing lines cause visitors to stand and stare. Beauty and functionality all held together by 14000 bolts. Visitors can take a boat ride on the wheel. Boats depart from beside the impressive visitor’s centre up to and along the Union canal. The boats are driven into the wheel’s gondola (each gondola holds over 500,000 litres of water) and then “locked” in before the wheel rotates and transports the boats and passengers up to the canal above. The whole process takes around 15 minutes and uses the equivalent energy that it takes to boil eight kettles of water. Very efficient! In addition to watching and photographing the beautiful wheel we walked around the surrounding area and take in some of the sights and activities on offer. Local fisherman trying their luck on the canals were happy to answer questions about the type and size of fish they caught and the men that operate the locks spent time answering questions about the lock system and canal boat activity. 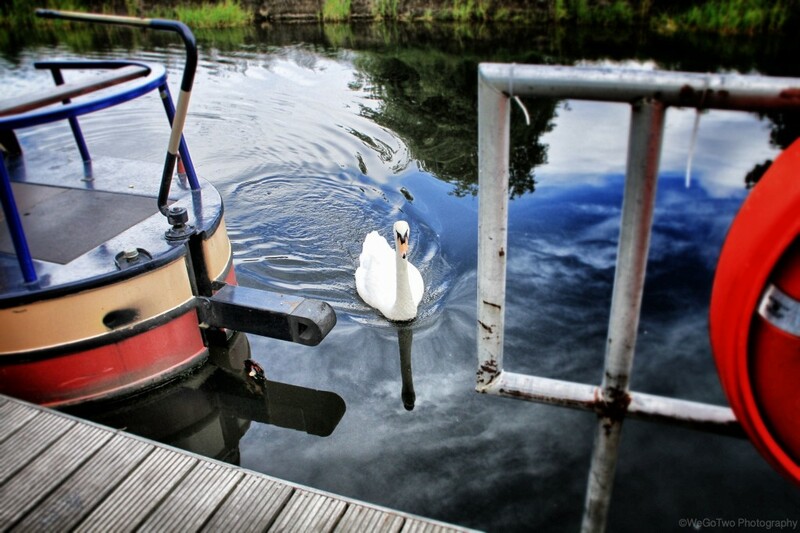 A resident swan followed us along the Forth and Clyde canal and accompanied us as we looked over some of the canal boats that were available for hire. We didn’t have any food for him (or was it a her?) but that didn’t stop him keeping an eye on our every move. We also had a lot of fun playing in the “big kids” water park that has been set up for visitors. You get to learn all about how the flow of water can be used to operate a variety of things. It’s very interactive and a perfect playground for all ages. There is a great variety of food and beverage options available or you can bring you own “grub” and set up a picnic alongside the basin or one of the canals. 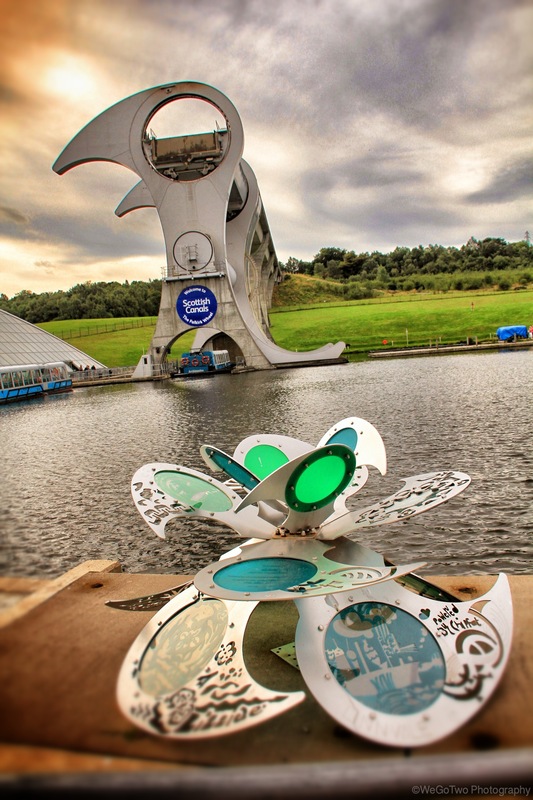 The wheel and canals are a perfect backdrop for a picnic on a sunny Scottish day. And, after your full of black pudding and whiskey you can work it off in the water park. 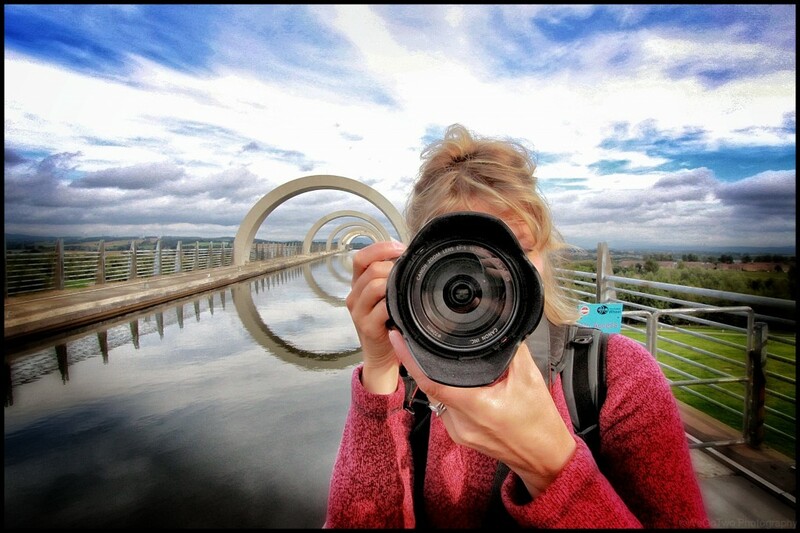 If you are visiting Scotland make sure you put the Falkirk Wheel on your itinerary. 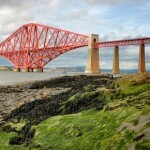 Falkirk is a short, easy drive from Edinburgh and Stirling. 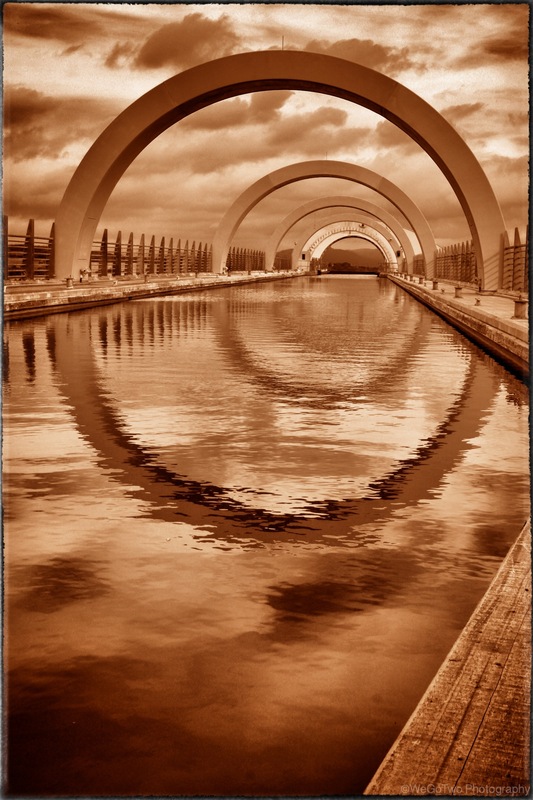 Get into the flow and take a drive to Falkirk and check out this impressive attraction. For those with a bit of time on their hands, consider hiring a canal boat for a week. Touring the intricate network of canals that are being reopened in Scotland would be a relaxing way to soak up the southern part of this beautiful country – slowly. They’re bright and beautiful. They attract everyone’s attention and they disrupt a city’s “streetscape” in a wonderfully attractive way. They are painted pachyderms and between July 13th and October 18th 2013 they took over the streets of Luxembourg. A summer and autumn treat for locals and tourists. But why are they here? Where did they come from and where will they go? These 55 life sized replicas of brightly painted baby elephants are part of the annual “Elephant Parade” that tours different cities around the world annually. The “parade” is a very visible way for The Asian Elephant Foundation to make people aware of the plight of Asian Elephants. Each elephant is auctioned off after the “parade” and all the monies raised are donated to the foundation for conservation and wellbeing of the Asian elephant. We were lucky enough to be in Luxembourg while this year’s parade was on show. We didn’t see all 55 of the saggy baggy beauties but we captured those that we did. The parade made time in Luxembourg even more special and we are grateful to the Asian Elephant Foundation for their creativity. If you ever have the opportunity to get up close and personal to an Asian elephant we are sure you will be touched by their gentle nature and intelligence. One of many species worth supporting and we are sure that your donation would be very much appreciated.